We’ve been helping lots of people to move interstate over the last few years and we are seeing a huge amount of people relocating to Melbourne. We are big fans of Melbourne here at Adlam Transport and it got us thinking about living there. Why are so many people moving to Melbourne? Well, we have done some research! And here are some of the top reasons people are choosing to make the move. We’ve all heard about shopping in Melbourne, right?! It seems it’s all about the selection – from international brands aplenty to quirky boutiques where you can purchase something really unique. There really is so much to choose from, you can flex those wallet muscles anywhere. Not only are the night markets and laneways buzzing with stalls for neat little finds, Melbourne is also home to the largest shopping center in the Southern Hemisphere – Chadstone Shopping Centre. The city offers a free shuttle bus from Federation Square to Chadstone and back. If you don’t want to venture out to the suburbs, you can stay in the city and get your shopping on at Bourke Street Mall and Melbourne Emporium. With so much choice and all budgets catered for, there is definitely something for everyone! Trains, trams, buses, and taxis galore! There are plenty of transport options available so you can pretty much get anywhere with ease and on any budget. Melbournes’ tram network is one of the largest in the world – extending out beyond the CBD. The airport is just a 25-minute trip from the CBD, making it incredibly accessible. Melbourne is serviced by the Skybus, which operates every 10 minutes, as well as public buses, making it easy for friends and family to visit. Or for you to nip off on a long weekend away! Melbourne is alive and thriving! Take a walk around the city’s alleyways and lanes and you will never be bored. They are a hive of activity with musicians, cafes, bars, amazing food, street parties, and even small quiet book cafes. For the foodies – Centre Place is the place to be. With a huge variety to chose from, you can feast on dumplings, crepes, fresh juices, salads, wraps and paninis or just sit and enjoy a delish coffee. For the culture vulture – get yourself to Hosier Lane. Sit back and enjoy your latte surrounded by some of the world’s best street art. For the architecture enthusiasts – explore the historical Royal Arcade, Australia’s oldest arcade. Within its’ decorative arches and checkerboard flooring lie a plethora of specialist boutiques, vintage treasure troves and cozy cafes. Or enjoy the stunning French Renaissance-style architecture of the fabulous Block Arcade, home to the famous Hopetoun Tea Rooms. You can’t help but marvel at the beautiful mosaic flooring and ornate cornices. It seems that Melbourne is ‘always open for business’ and there is a lane for everyone! 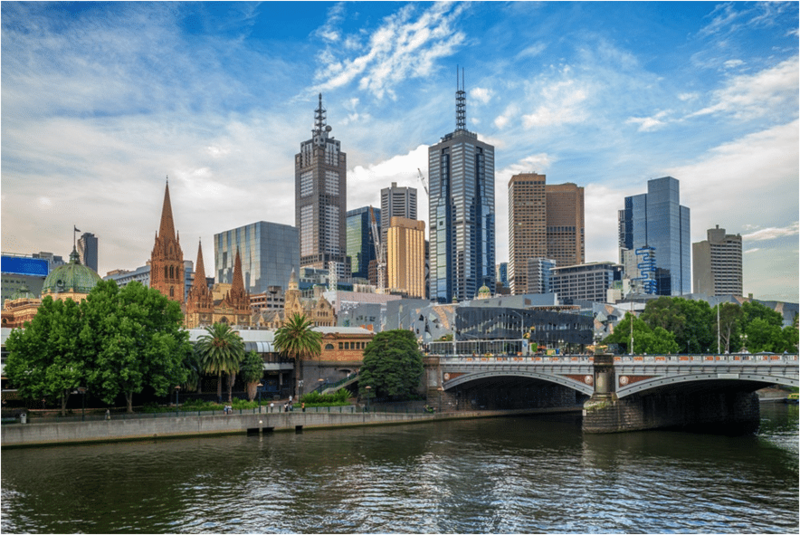 Melbourne is buzzing with culture and has long been crowned the ‘cultural and sporting capital of Australia.’ It boasts a rich art, music, theatre and festival scene and plays host to a huge range of national and international sporting events. And street art is everywhere, with many of the quirky little laneways covered in graffiti and murals. You’d be hard pressed to get bored walking around this incredible city. And if you have a creative mind, this is your place to shine! Creativity seems to flow from the street pathways, all the way up the walls! Check out Hosier Lane, opposite Federation Square, as the first port of call if you want to take some incredibly insta-worthy snaps! 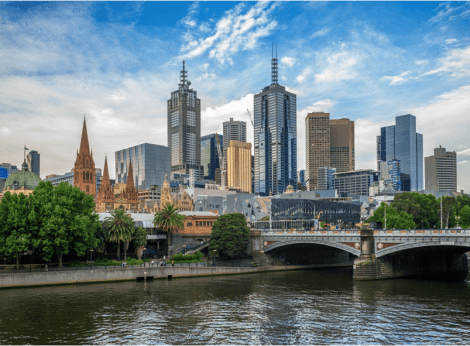 Melbourne has outperformed the Australian economy over the past five years and is cited as a city of ‘low economic risk,’ according to Lloyd’s City Index 2015-2025. Melbourne’s population is growing so rapidly that it’s predicted to surpass Sydney’s by 2030, which indicates a strong demand for goods and services. And with five of the top 10 Australian companies headquartered in Melbourne, along with a number of tech giants, the economic forecast looks bright. And if that’s not enough, Melbourne reigned as the world’s most liveable city for 7 years on the trot – and still ranks in the top 3 spots. The survey rates cities on a range of criteria, including safety, infrastructure, healthcare, education and the environment. So, if you’re looking for a great lifestyle and world-class food, coffee and culture, Melbourne is definitely the place to be! If you decide to move interstate, why not contact Adlam Transport and let us help you start your new life in one of the best cities in the world!